These are very, very nice pillows. The filling is dense and soft. Colors are just as shown and fit into my home colors perfectly. I would buy them again! Give your living space a charming look with this beautiful throw pillow. 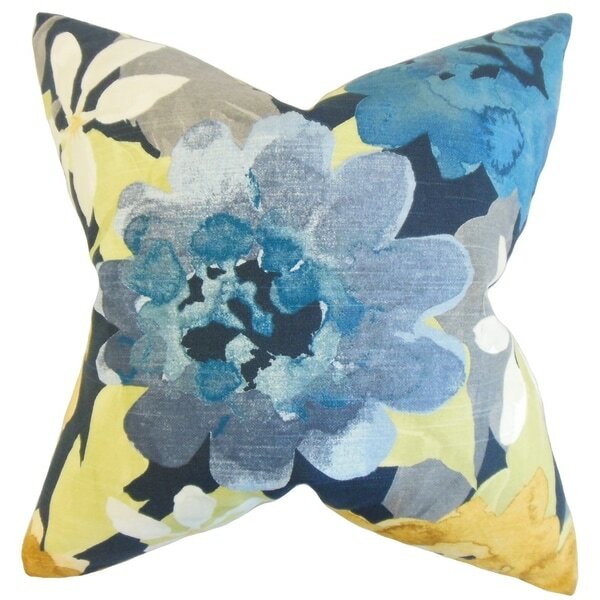 This accent piece features a floral pattern in shades of blue, grey, white and yellow. It's ideal for indoor use and uses soft 100-percent cotton material. This 18-inch pillow looks fantastic on your sofa, chair and bed. A hidden zipper closure allows for easy cover removal. With a knife edge finish on all four sides, this reversible pillow has the same fabric on the back side. This item is made to order and each pattern may be cut differently. If buying two of the same item, slight differences should be expected. Note: color discrepancies may occur between this product and your computer screen.